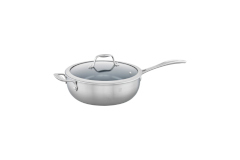 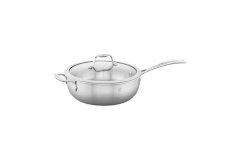 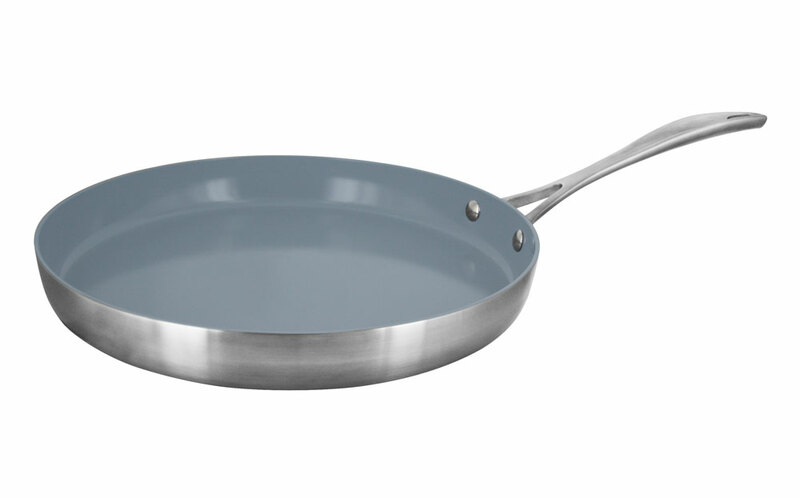 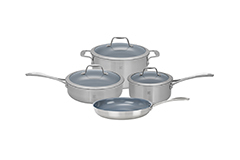 The Spirit line is a collection of 3 ply stainless steel pots and pans available with either a polished stainless interior or a 3 mm ceramic nonstick coating. 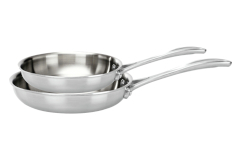 The cookware heats quickly while the handles always stay cool. 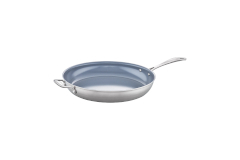 They are oven safe up to 400 degrees and dishwasher safe.